Shima Seiki Mfg., Ltd. will exhibit at the upcoming Expotextil Peru 2018 show from November 8th to 11th in Lima, Peru in the STT Peru Import Booth (E3 and E4). The company will promote its WholeGarment knitting technology by displaying its SWG061N2 WholeGarment knitting machine. 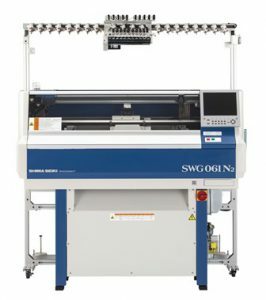 As a compact entry-level machine, the SWGN2 series is perfect for knitting companies searching for ways to distinguish their services in a competitive market. 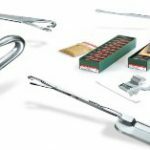 On-demand knitting capability of WholeGarment combined with the great flexibility of SWGN2 in producing a variety of items such as gloves, socks, leggings, hats and mufflers as well as children’s wear, provide new business opportunities as well. The latest in conventional knitting is represented by the SVR122 computerized knitting machine. 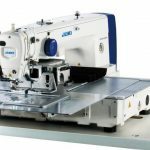 SVR122 becomes the new reference standard in shaped knitting by inheriting proven Shima Seiki technology such as the patented Digital Stitch Control System (DSCSR), Spring-Type Sinker System, Stitch Presser, Yarn Gripper and Cutter and Takedown Comb. Made-in-Japan quality, reliability, productivity, user-friendliness and cost-performance combine to satisfy the high standards expected by the fashion industry within Peru and beyond. Aside from the SWGN2 series and SVR machines mentioned above, knit samples highlighting the cutting-edge in computerized knitting technology will also be on display. Items produced on the flagship MACH2XS WholeGarment knitting machine as well as samples knitted on SRY series and SVRSP model featuring inlay technique that yield hybrid knit-weave fabrics, and new iPlating technique will also be featured. Also on display will be the SDS-ONE APEX3 3D design system. Shima Seiki together with its U.K. subsidiary Shima Seiki Europe, Ltd. will also hold a private exhibition in association with Hong Kong-based spinner UPW on November 7th and 8th at the Academy House in London. 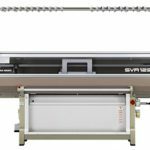 The “Shima Seiki Europe APEX Show” will feature the SDS-ONE APEX3 3D design system, highlighting the company’s Digital Yarn Project. The key to realistic simulated sample making can be found in the least common denominator of knitting: the yarn. 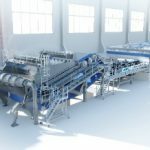 Shima Seiki’s Digital Yarn Project aims to digitize yarn with the cooperation of spinning companies so that its customers can select yarn for their design and produce simulations for digital sampling, while programming data allows the required amount of yarn to be calculated so that the yarn can be ordered as soon as approval is obtained for that design. UPW is one of the most advanced collaborative partners in this Project, offering access to its inventory of digitized yarn online.